These stories are very familiar and unsurprising. The connection between the common cold and sugar consumption is as follows: When you consume sugar, the white blood cells, which are the soldiers of your immune system, are inactivated for between 5 and 24 hours afterward. As a result, the opportunistic rhinoviruses and coronaviruses that cause colds are unopposed in their invasion of your respiratory mucous membranes. The usual cold symptoms often result. Our family does something a little different for Halloween. My son puts on his costume, and then has the very important job of dispensing treats when we answer the door together. Those treats are basically party favors: pens, tops, rubbery lizards, plastic sunglasses, light-up balls, etc. They are a bit more expensive per child than candy, even at one toy per child. But that is our way of not pumping more sugar into the neighborhood kids. When I was a kid, we did something similar. Mom gave us kids little stapled bags of popcorn that she had popped, to hand out to the trick or treaters. She did this every year when I was growing up, and the popcorn was often still warm in the bags when we handed it out. It was a good alternative to the candy that kids mostly received. Some other ways you can have a healthier Halloween is to make your own sweets with healthy sweeteners. 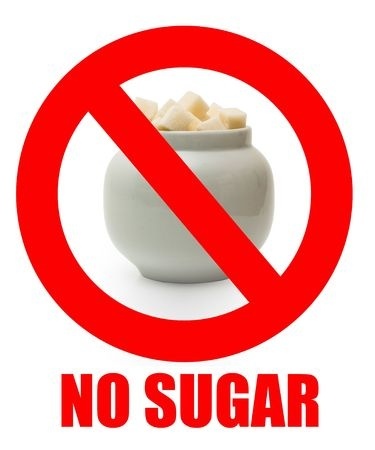 The only two really benign sweeteners out there, that are not artificial or alcohol sugars or with a high glycemic index, are stevia and agave nectar. Stevia has a glycemic index of zero, so it will not raise your blood sugar, and in some cases lowers it. [2, 3] Stevia is probably the most mishandled of any sweetener. Almost all of my patients who tried it used the powder and found that they got so much that a bitter after-taste resulted. This is because stevia is many times sweeter than sugar, and it is easy to get too much. I strongly recommend using the liquid stevia instead, and just using a few drops to start. For example, I make a glass of lemonade by squeezing 1/4 lemon into a 16 oz glass of water. Then I add 8 drops of liquid stevia. From there, you can adjust to taste. A variety of stevia recipes are on this link at stevia.com. I would start with the cold or room temperature recipes first for the best results. Agave nectar is more versatile than stevia and is somewhat closer to the taste of sugar. It has a glycemic index of 27, not quite zero, but certainly lower than many other foods, many including vegetables, meats and dairy. You can bake with it, and use it in a variety of recipes. Here are some agave recipes online. If the food in your house is part of the problem, and Halloween leaves its dregs behind all year long, start shopping just the periphery of the supermarket where the whole foods are. Skip the aisles of processed and sweetened foods and drinks. Leaving bad food behind at the supermarket makes a whole food/sugar-free diet a whole lot easier. Whatever you do, don’t bring the cookies and ice cream home to your kitchen, where they then sit there a few feet away from you like ticking bombs, and quickly find their way into everybody’s tummies. (You are only human after all. Don’t make your temptations any more difficult than they already are by bringing them into your house.) Start the clean sweep of your pantry during a weekend, so that neither you nor your children will be tempted by junk outside the home within those first critical 48 hours. When the cravings become bothersome, massage all of both ears to cover the ear acupuncture points related to addiction. Broccoli, cheese and liver are foods high in chromium, which is helpful specifically for sugar cravings. Drinking water is the best way to flush out toxins and metabolites more quickly. On creating a whole food household for the first time, your children may balk, but within a few days, they will 1) learn to accept the food that you are providing them, and 2) will then let you know that they are feeling better. During the usually sniffly weeks after Halloween, you will be glad that you have already embarked on a healthier way of life.